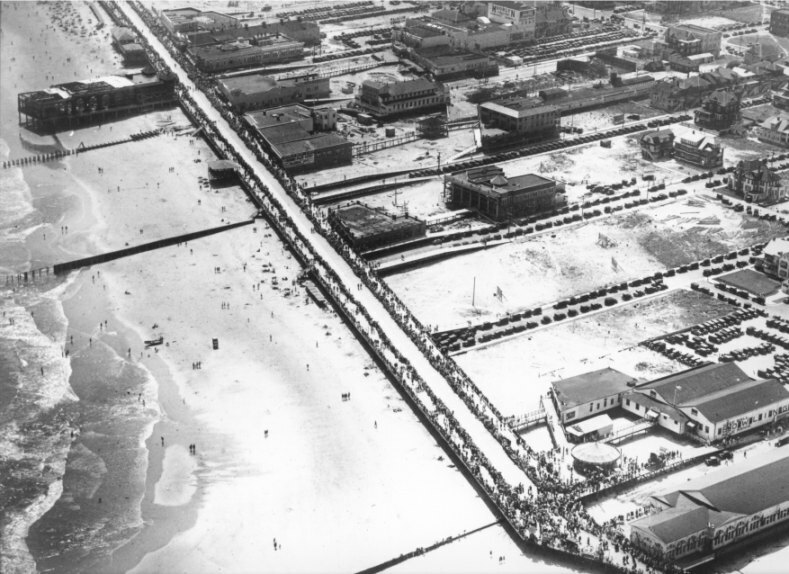 On October 11, 1927 a fire which reportedly began in a pile of trash under the boardwalk at 9th street, destroyed almost all of the boardwalk from Moorlyn Terrace to 10th Street. Strong southeastern winds fanned the blaze which consumed the buildings at the heart of the boardwalk. Shriver's Salt Water Taffy, the Hippodrome Pier, the Plaza Theatre, a hotel, and many stores were all burned to the ground. 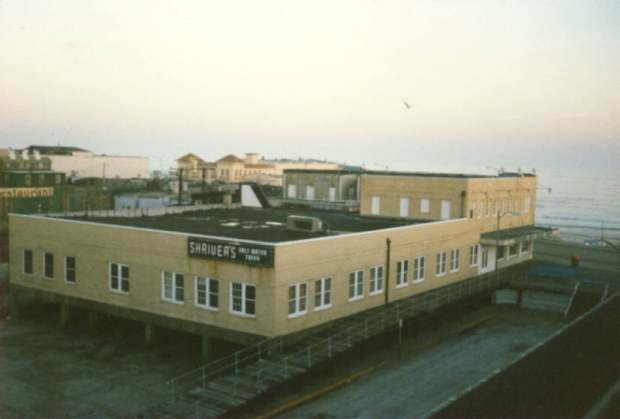 After the new boardwalk was built, Shriver's Taffy was rebuilt at 9th and Boardwalk. 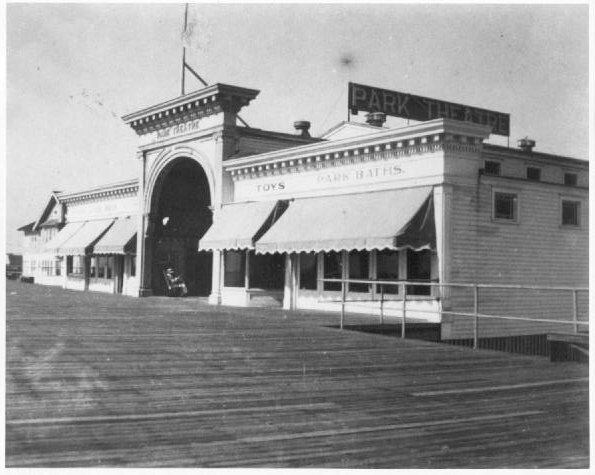 Surviving buildings, such as the Moorlyn, Simms, and the (old) Strand were moved up to the new boardwalk using rails, windlasses and horses. View from the Hippodrome Pier before the fire. 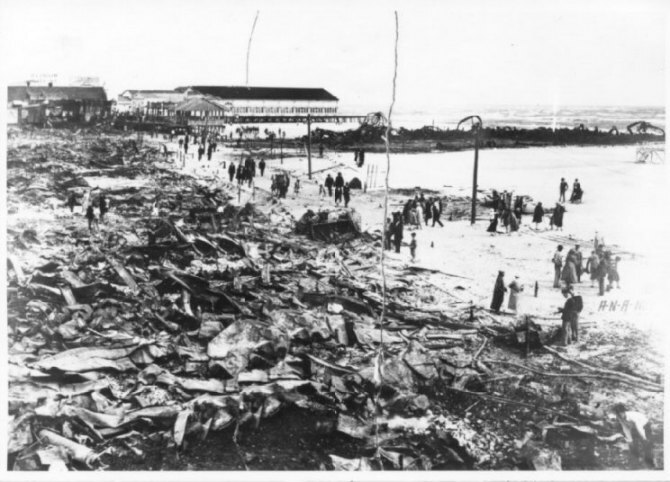 The day after the fire, showing what's left of the boardwalk in the foreground, and the remains of the Hippodrome Pier on the right. The (original) Music Pier stands in the distance. 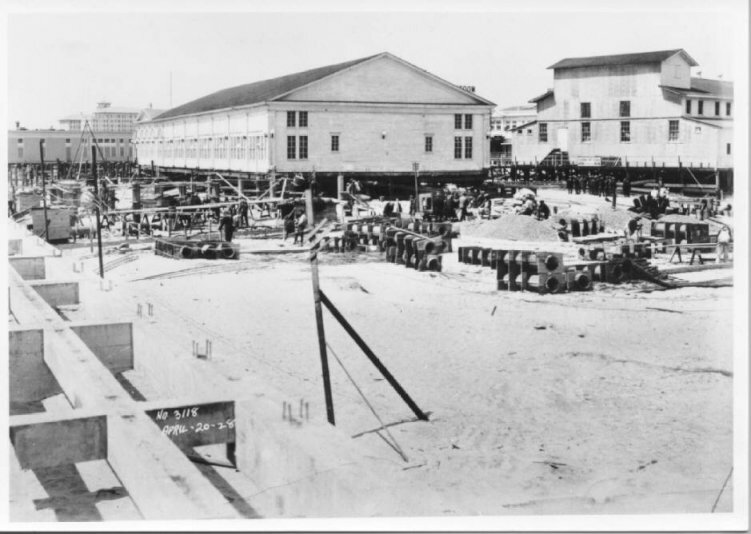 A view of the new boardwalk in 1928 as the Music Pier is being built. Notice the Moorlyn hasn't moved yet. 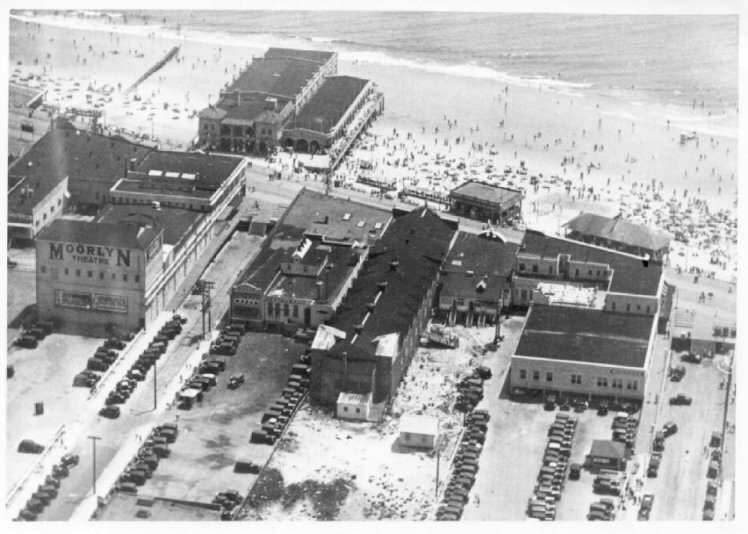 You can see the space behind Doughty's Theatre where the old boardwalk, now gone, turned toward Playland (lower right). A view of the rebuilt boardwalk. The new parking lots behind the relocated buildings are where the old boardwalk stood. 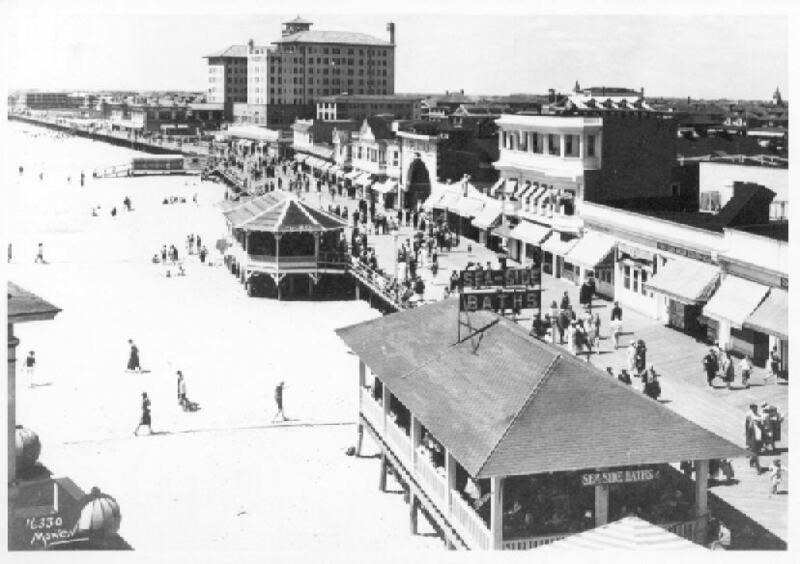 While the new boardwalk is being built (left), the Music Pier is turned 90 degrees and then moved northward to make way for a new Music Pier (completed in 1929). The ocean side of Doughty's Pier can be seen on the right.